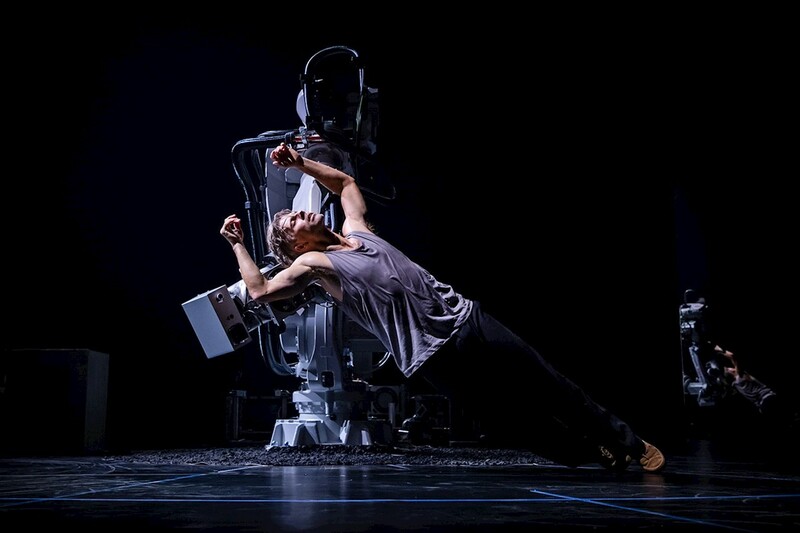 Renowned Swedish choreographer Fredrik "Benke" Rydman performed a delicate duet with the IRB 6620, a 900kg industrial robot from ABB in the premiere of a groundbreaking new work on Friday night (Sept. 7) in Stockholm. The performance is a powerful reflection of the changing role of technology, automation and artificial intelligence in society and the advanced, collaborative interactions now possible between humans and robots. The premiere, which received a standing ovation, was lauded by critics. The ABB IRB 6620 robot with which Benke performed is more typically used in heavy manufacturing facilities, like automotive plants, where it performs spot welding and complicated assembly tasks in close collaboration with plant employees. It is one of ABB’s biggest, strongest and heaviest industrial robots. Performances of Benke’s new work continue at Kulturhuset Stadsteatern in Stockholm, one of the largest and most prominent culture centers in Northern Europe, through November 30.